Pintle spacing min 140mm to max 220mm. Clearance from top pintle to top of transom 50mm. Suits Laser and RS Boats plus a number of many popular classes that fit the above measurements. However does not fit the Topper sailing dinghy. 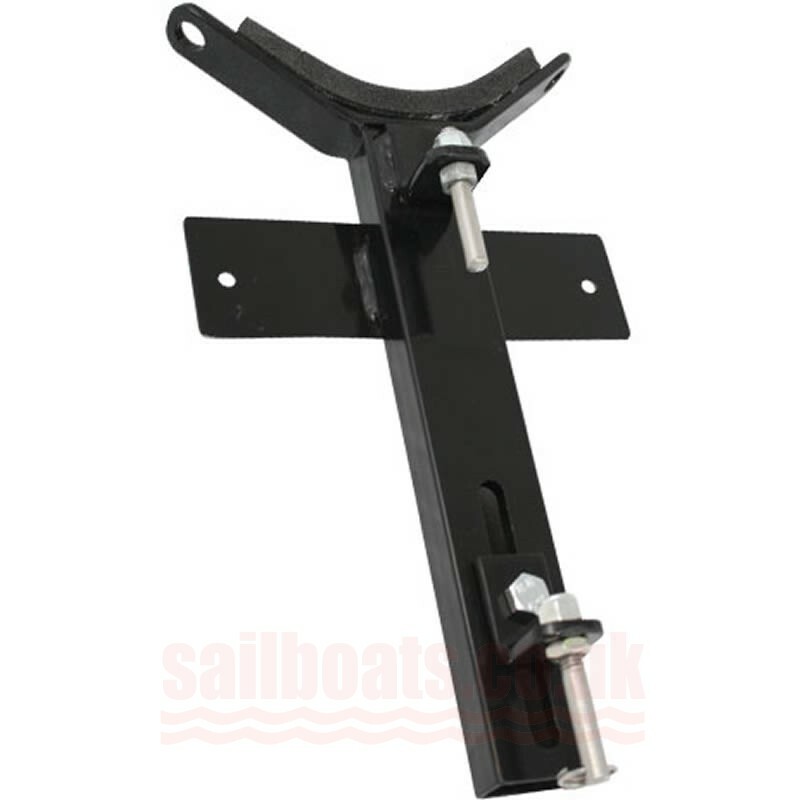 Please check dimensions to be sure but this Bracket also fits the Solo dinghy. You just need to take the bottom pintle off as its not needed and swap it with the top one so you keep the saftey ring on.